Iranian Parliament speaker Ali Larijani will start a high profile five day-tour of Japan in the next few days for talks with senior Japanese officials. Larijani will meet with Japan's House of Representatives and Senate speakers on Wednesday morning. He will also visit the premises of the two assemblies. Japanese Foreign Minister Katsuya Okada will also attend Larijani's residence on Wednesday afternoon for talks with the senior Iranian lawmaker. 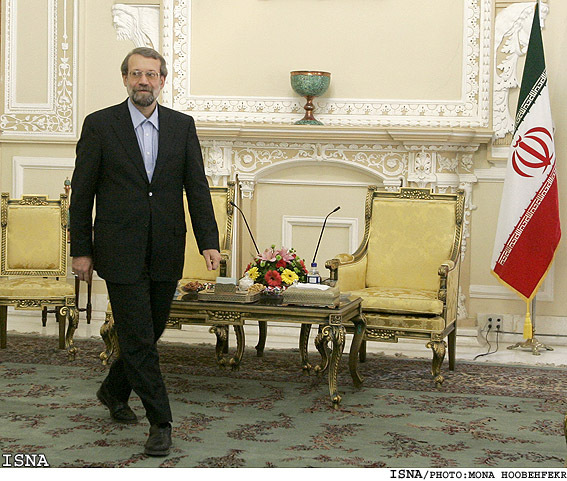 Larijani will also hold a meeting with Japanese Prime Minister Yukio Hatoyama. The top lawmaker will also hold talks with Japan's Supreme Court chief. Meeting with the secretary general of Japan's Liberal Democratic Party is also on the agenda of the speaker's visit. Larijani, a scholar-turned politician, will also address a number of Japanese scholars and university professors. He will also meet with peace activists and members of the The Sasakawa Peace Foundation. Addressing foreign diplomats in Tokyo and some company managers and politicians is also among other plans of the speaker.